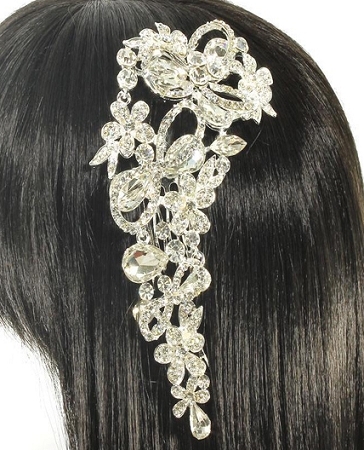 Silver rhinestone metal hair comb. Sold in store only. Call store for price and availability. New styles available every week!